our perfectly imperfect life: I forgot one. And a few answers. 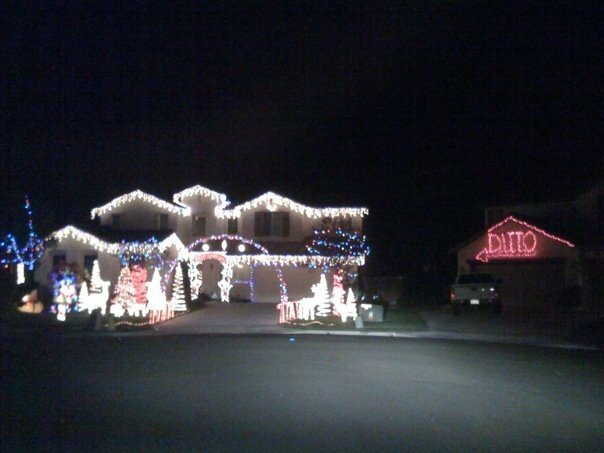 Our house is the one on the right. Ha. Totally kidding ... I know this picture has been floating around the internet (thanks Kristen!) ... but it still makes me laugh every time I see it! I didn't see this until just now ... can I start late?! Yes ... you can start whenever you want ... better late than never! You can either back blog like I always do or you can start late ... it is up to you. I'd just be blessed to have you participate, because everyone has something to give ... and ya'll are inspiring me and others! Of course you do! Think outside of the box ... giving isn't always about having money to give. What about giving your time by volunteering at your child's school? What about giving more of your time to your family? What about giving unusual thanks in a note to someone letting them know you appreciate them? At the end of the day, if you did something for someone that made their heart happy ... then you gave. It is that easy! I'm in - Hopefully I'll get the link posted on my blog later today. P.S. The boxer is in Utah - about 40 minutes south of Salt Lake City.